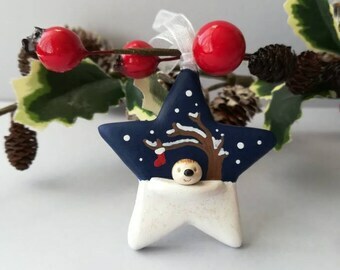 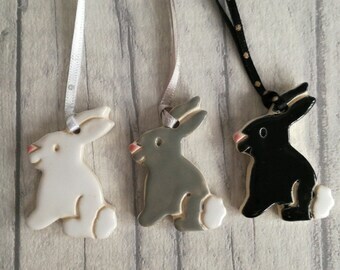 Miniature hand crafted ceramic rabbit ornament. 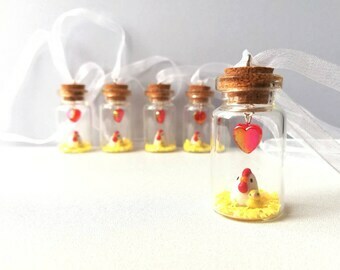 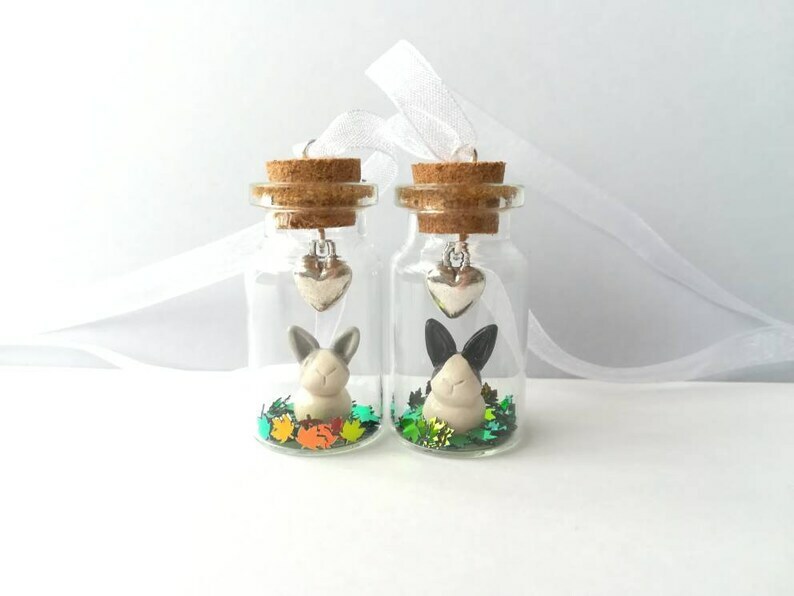 Little bunny is sealed in a mini glass bottle and has a silver heart hanging above. 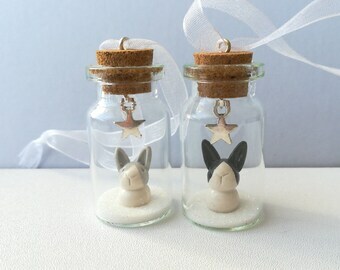 Each rabbit is handmade so will vary slightly, please see the photo of three bottles to show how there will be variation. 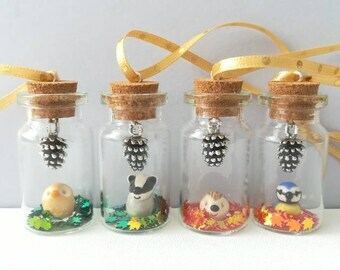 Each bottle has some sequin leaves in the bottom. 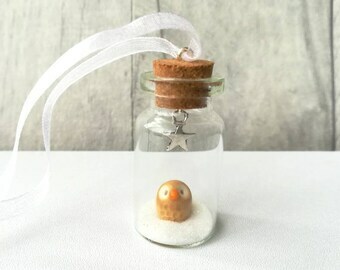 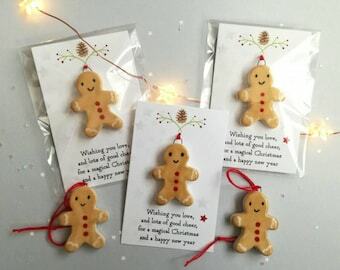 This is a very small bottle which only measures approximately 4cm tall and is strung with organza ribbon. 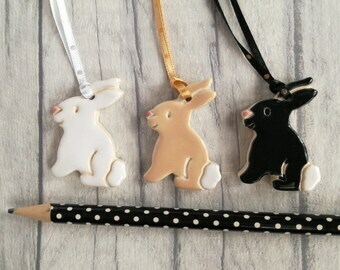 There is a choice of a black and white rabbit or a grey and white bunny.